Urge Kentucky Lawmakers to Support Medical Cannabis Reform Today! A medical cannabis bill has been filed in the Kentucky General Assembly every year since 2013. In that time around a dozen other states have passed medical bills, eight more have joined Colorado and Washington in full legalization. Presidents Barack Obama and Donald Trump have voiced support for state governments deciding their own policies. 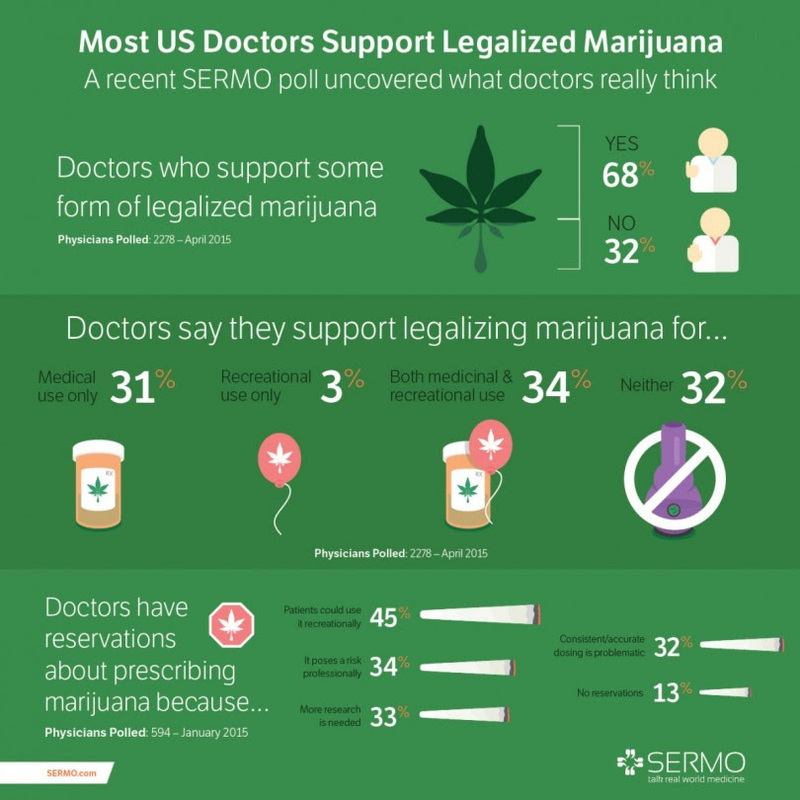 Nearly 80 percent of Kentuckians support medical marijuana., according to a 2012 study issued by the Foundation for a Healthy Kentucky. So, in seven years why hasn’t Kentucky moved forward? Cannabis reform has stalled recently because of opposition from Kentucky’s Senate leadership. Their opposition shouldn’t be the final word. Senate President Robert Stivers, R-Manchester, says more research is needed, while state Rep. Danny Bentley, R-Russell, erroneously compared cannabis to “snake oil remedies of the 1800s,” according to a WDRB-TV report. It’s understandable lawmakers want reliable data before making a decision. The good news for Kentucky legislators is the data already i s available. The U.S. National Library of Medicine has more than 26,000 published studies/reviews across 24 databases regarding cannabis available to read online. The National Center for Biotechnology Information has summarized a group of FDA approved randomized clinical trials, finding evidence for cannabis as medicine. The organization concluded marijuana’s classification as a Schedule I substance is an obstacle to further research. Kentucky’s Senate leader has taken a contradictory stance. Stivers has requested studies from the American Medical Association or Johns Hopkins University, but he should know he is asking for research prohibited by cannabis’s Schedule I classification under the Controlled Substances Act of 1970. This should bring advocates and opponents alike together on the issue. We can all agree on objective scientific data. I invite Stivers, Bentley, and others asking for more research to join their voices with ongoing bipartisan efforts to reschedule cannabis. If the state Senate won’t get behind rescheduling cannabis, they are effectively asking to see research that can’t be conducted under federal law. Sadly, it seems Stivers already has an answer for would-be medical cannabis patients. “Have a bourbon,” he told the Courier-Journal. Are we going to see the studies proving bourbon can provide the same relief cannabis can? Stivers’ tasteless quip – or even more tasteless sales pitch -reveals a flippant disregard for the issue. A 2016 study published in the Journal of School Health concluded alcohol use should be a target of school abuse prevention programs. The study cited alcohol as a more likely gateway to hard drug use. The negative effects of alcohol abuse, both on the user and their loved ones, are well documented, so it’s odd Stivers and the Kentucky Senate lack the same concern for data and safety when it comes to alcohol. A January 2017 review of trials by the National Academy of Sciences, Medicine, and Engineering found conclusive evidence supporting cannabis use for the treatment of chronic pain. The Journal of Clinical Oncology in a 2018 study found medical cannabis use provided a 41 percent reduction in opioid use, which signals a potential solution for our Kentucky’s opioid crisis that desperately needs to be addressed before more Kentuckians die at the hands of these powerful drugs that often are legally prescribed. Are there studies showing the same potential in bourbon? This isn’t a call to shift discussion towards prohibiting alcohol. We long ago rightly decided to allow adults to make a free decision to imbibe or not. Kentucky’s Senate is steadfastly hesitant to allow a similar decision regarding medical cannabis even among doctors and their patients who could benefit from this medicine. The best rebuttals some of our Senate has to voice in response to Kentucky’s seventh medical cannabis bill are juvenile attempts at humor and dismissals of the data at hand. The discussion must progress beyond verbal jabs and dismissiveness. It can if more Kentuckians rally behind two pieces of Republican-sponsored legislation in the 2019 session of Kentucky General Assembly that kicked off Jan. 8 – state Rep. Jason Nemes’ Let Doctors Decide medical marijuana bill (HB 136), Sen. Dan Seum’s Responsible Adult-Use Bill (SB 80), Sen. Jimmy Higdon’s Cannabis Decriminalization (SB 82), and Sen. Perry Clark’s “Shauna’s Laws, which provides workplace protections (SB 83). Seven years have passed and 33 states now have medical cannabis systems in place. It is time for Kentucky to join the discussion and catch up with the rest of America. Call 800-372-7181 and tell your legislators to support cannabis reform this session and join us on February 6th at the Capitol Rotunda in Frankfort from 1:30 pm – 2:30 pm EST for a Rally for Reform! Looking back at 2018, it was another productive year for marijuana law reform advocates. In addition to advancing legislation in state houses around the country, NORML chapters played a significant role in passing marijuana law reform initiatives in Michigan and Missouri, and were instrumental in numerous municipal marijuana decriminalization victories. With more and more local and state governments taking steps to reduce the arrest and incarceration of marijuana patients and consumers, many are predicting 2019 to be a watershed year for marijuana law reform legislation. That’s why dozens of NORML chapters are organizing citizen lobby days to advocate for the end of marijuana prohibition and other reforms ranging from depenalization and expungement, to workplace drug testing and social consumption. Below is a preview of what to expect from NORML chapters in 2019. Following the passage of the Michigan Regulation and Taxation of Marijuana Act last November, which legalized the possession, consumption and cultivation of marijuana for adults 21 and up, state lawmakers will be focused on implementing various aspects of the new law in 2019. This includes robust policy debates ranging from health and public safety, to the allocation of tax revenues and consumer protections. At the local level, several municipalities have already opted out of recreational marijuana sales resulting in members of Michigan NORML working overtime to defend the progress that has been made well in advance of next year’s legislative session. For months state lawmakers and officials with Governor Andrew Cuomo’s office have been soliciting feedback and hosting roundtable discussions with various stakeholders with the hope of drafting legislation for next year’s legislative session. Most recently, Governor Cuomo outlined his agenda for 2019 which prioritizes the legalization of adult-use marijuana. Looking to capitalize on the Governor’s newfound support, NORML chapters across New York have organized a series of lobby days during next year’s legislative session. “Empire State NORML continues to push not only on the advocacy and lobbying fronts by meeting with multiple cannabis centric organizations and state leaders, but also in providing critical direct input during the drafting of the legalization law that will soon be voted on by the legislature. We will continue in our mission to educate individuals and leaders about the opportunities and innovations that a legalized cannabis marketplace will bring to all of New York,” said David C. Holland, Esq., Executive and Legal Director of Empire State NORML. Members of Empire State NORML, Rochester NORML and Western New York NORML will be meeting with state lawmakers in Albany on Tuesday, January 15, 2019 and Wednesday, March 27, 2019. Missouri lawmakers will be considering numerous bills to implement Amendment 2, also known as Article XVI of the Missouri Constitution, which legalized medical marijuana for qualified patients and provided the framework for a patient registry. Working with a strict timeline, marijuana law reform advocates from across Missouri will be in be in Jefferson City to make sure lawmakers and officials with the Missouri Department of Health and Senior Services implements the new law in a way that respects the needs of future patients. During a debate leading up to the 2018 midterm elections, Texas Governor Greg Abbott, who was once considered to be one of the biggest obstacles facing marijuana law reform efforts in the Lone Star State, expressed his support for reducing criminal penalties for low-level marijuana possession. Since then, NORML chapters across Texas have been busy organizing activist trainings and hosting town hall style meetings as they prepare for next year’s legislative session. With the Texas State Legislature convening every two years, Jax Finkel, executive Director of Texas NORML has adopted an aggressive strategy to take advantage of the small window of opportunity for legislative action. Members of Kentucky NORML, led by Executive Director Matthew Bratcher, will be focusing on legislation to establish a medical marijuana program that will allow physicians to recommend the use of medical marijuana to treat or alleviate symptoms of any diagnosed condition. In states where medical and adult-use marijuana have been legalized, such as Washington, California, Oregon, Colorado and Massachusetts, advocates are pushing for reforms that will address the needs of patients and consumers. For example, social consumption, which has created confusion surrounding the dos and don’ts when it comes to consuming a product that’s readily available to adults 21 and up in almost a dozen states. Longtime NORML Board Member and outspoken social consumption advocate, Madeline Martinez shared her thoughts. There’s also the issue of workplace drug testing. A discriminatory practice that’s putting millions of law-abiding and responsible adults at risk of losing their employment due to a THC-positive drug test. That’s why NORML chapters in several states are focusing their attention on legislation that will protect honest, hardworking marijuana consumers from antiquated workplace drug-testing practices, in particular the use of random, suspicionless urine testing. To support these efforts, we’ve created several resources like NORML’s Citizen Lobby Guide (http://norml.org/pdf_files/NORML_CitizenLobbyGuide.pdf) and Fact Sheets (https://norml.org/marijuana/fact-sheets). We’re also working with chapter leadership to develop policy one-pagers, FAQs, and other resources specific to their needs. 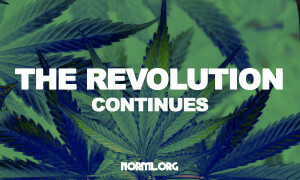 And of course there’s NORML’s Action Center (http://norml.org/act) that supporters of marijuana law reforms can use to urge their lawmakers to support pending legislation. For more than 45 years NORML chapters have been the driving force behind marijuana law reforms on the local and state level. Have you connected with your local NORML chapter? If there isn’t one in your community, please reach out to Chapters@NORML.org for help starting your own! Marijuana policy should be evidence based. 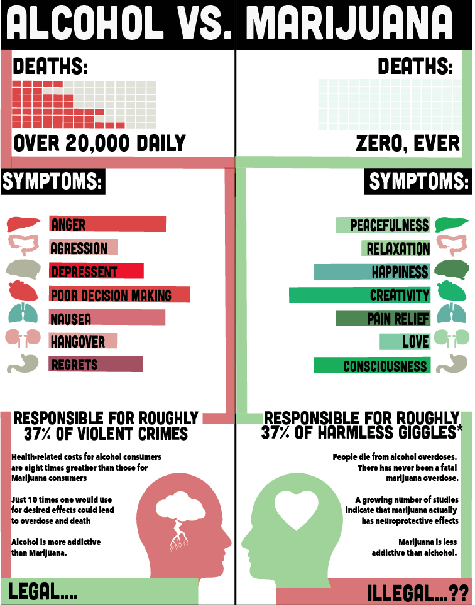 Dispel the myths with the NORML Fact Sheets. For more Information follow NORML on Facebook and Twitter and visit our website!